Ever wondered what German fusion would sound like? (Well, you never know). Wonder no longer. It sounds an awful lot like fusion from anywhere else. Unlike prog, jazz of all hues tends to sound American wherever it comes from; instead of musicians bending the style to their own, they are forced to bend to it. I could be talking complete crap here, but I've yet to hear any jazz (or at least fusion) with any noticeable ethnic input, although it must exist. The same goes for hard rock, incidentally; maybe it's an American thing. 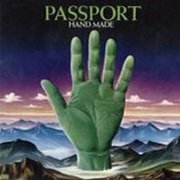 Klaus Doldinger's long-running Passport produced a whole string of albums like in the '70s, crossing jazz-fusion with prog, creating a heady brew of high-energy playing, great chops and tight arrangements, irresistible to anyone who understood what Miles Davis was doing a few years earlier. I'll freely admit that this isn't really my kind of thing, although I can appreciate the fantastic musicianship, as with any similar outfit (Mahavishnu Orchestra, Return to Forever etc. ), not to mention fellow (though far less successful) German fusioneers the Release Music Orchestra. Hand Made was the band's third album and the first to feature Doldinger's Mellotron, although he's a saxophonist by trade. The music is... well, it's fusion. How else do you describe this kind of stuff? To my ears, it doesn't differ from any other fusion in any particular way, although it's sax- and keyboard-led, rather than guitar, so don't expect anything like Mahavishnu. To be fair, there's a reasonable variety of styles across the tracks, from the laid-back to the full-on, but it's all very recognisable as fusion, for better or worse. Mellotron on a handful of tracks, with some nice string pitchbends on opener Abracadabra and more full-on chords (with more of that pitchbending) on Yellow Dream, although that would seem to be your lot. 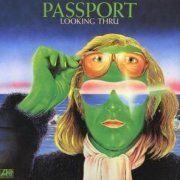 Looking Thru appeared later the same year and I have to say, is possibly Passport's crowning glory, combining great tunes and a proggy approach with the band's more usual fusion fare. 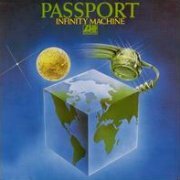 Highlights include opener Eternal Spiral and Eloquence, with its slightly Gentle Giant-esque Rhodes work, making this the nearest to 'prog' that Passport ever got. Three 'Tron tracks from Doldinger, with a couple of string swells on opener Eternal Spiral, phased strings and flutes on the title track and faint strings on closer Things To Come, so nothing that major apart from the flutes. 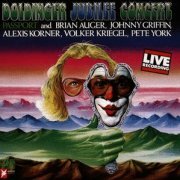 1974's Doldinger Jubilee Concert, credited as 'Passport & Brian Auger, Johnny Griffin, Alexis Korner, Volker Kriegel, Pete York', is a bit of an oddity in the Passport catalogue, being a live recording of a guest-filled concert, celebrating, er, what? '74 wasn't any obvious Doldinger anniversary, so I've no idea what the 'Jubilee' bit's about. 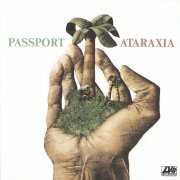 Anyway, while mostly featuring Passport originals, it also features an entirely missable version of the even-then hoary old Rock My Baby, sung by the even-then hoary old Korner (sorry, memory of Alexis), other guests including Auger (organ, of course, on nearly every track), saxophonist Griffin and percussionist York, all managing to stand out on at least one track. I'm not sure if this is entirely a musical success, but it certainly has its moments, not least Auger's ripping solo on closer Lemuria's Dance and Kristian Schultze's near-solo Mellotron strings part on Rockport. The gig was obviously such a success that Doldinger saw fit to do it again the following year, the results released as Doldinger Jubilee '75, but its one 'Mellotron on the studio version' track, Albatros(s) Song, sees it replaced by string synth. 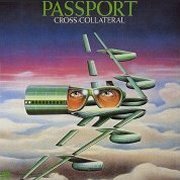 '75's Cross-Collateral seems to be one of the band's most highly-rated efforts (that's Doldinger's trademark glasses on the excellent sleeve). Picking out highlights is a bit of a problem, as outlined above, although the title track held my interest throughout its considerable length. As far as the Mellotron's concerned, this is jazz, so don't expect 'standard' playing; Will-O'The-Wisp has some interesting flute and string work (and are those stabbed choir chords? ), while Albatros Song has some more overt and 'typical' string work, although that seems to be it. '76's Infinity Machine is more typical fusion, unfortunately, although closer Contemplation avoids many of the usual clichés. Not much 'Tron and no-one credited, so it's probably Doldinger playing the string and choir parts in Ostinato, but this doesn't come near even their earlier albums for Mellotron use, let alone anything where it's used properly. No 'Tron on '77's Iguaçu, and 1978's Ataraxia (re-titled Sky Blue for its American edition, for no known reason) is more fairly typical fusion, although the synth work in the ludicrously-titled Reng Ding Dang Dong is quite innovative. 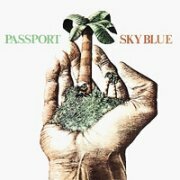 To no-one's surprise whatsoever, Passport blanded out as the '70s drew to a close, so while this is a perfectly respectable album in its field, don't expect any real surprises. Doldinger's credited with Mellotron, but all I can hear are choirs on Ataraxia Part I, so don't go too far out of your way for it. There's nothing on '79's Garden of Eden (**½, several tracks horribly containing vocals), so I think it's pretty safe to assume that's it for the band's regular releases. 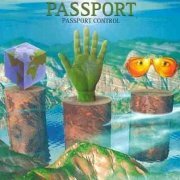 However, 1997's Passport Control compilation (apparently assembled by Leicester's very own Ultima Thule brothers) is possibly the perfect entrée to the band's work. Never less than fiery, this collection performs the rare feat of refusing to become boring over an hour-plus of instrumental fusion. Yes, folks, it can happen... You've already heard the 'Tron strings and flutes on Looking Thru, but (Doldinger's?) choppy flutes on the previously-unavailable live version of Yellow Dream are a revelation. So; if fusion's your bag, but you haven't stumbled across Passport before, you're in for a treat, although I'm not convinced they were actually saying anything new, Looking Thru possibly excepted. The 'Tron use is fairly spartan throughout, so not really worth it on that front. Incidentally, although Doldinger's been playing since the '50s (he was born in 1936), in the grand tradition of jazz and blues players, he's still musically active to this day.